Wayne was inducted into the Hall of Fame in 1999 and joined the Board in 2009 (possibly 2010?). Wayne was a member of the US National Team 1972 through 1987. He made his first Olympic team at age 18 in 1972, then competed in the ‘76 Olympics and won a Pan Am Gold Medal in ‘79. In 1980 Wayne and his brother Dale (Hall of Fame 2007), along with Greg Lemond were caught out by President Carter’s Olympic boycott. Wayne won over 200 races including 13 Individual National Championship Titles, 5 Elite and 8 Master’s, as well as nearly every major road event in the USA, including the Red Zinger in 77. Together with his brother Dale, the Stetina brothers dominated domestic US racing from the late 70 thru early 80s. After 50 years of racing Wayne finally retired in 2013, but continues training just as consistently to ride competitive Fondos. Today his famous nephew Peter Stetina (Dale’s son) carries on the Stetina racing legacy on the WorldTour. 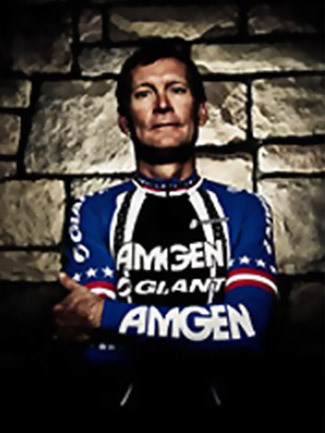 Wayne was a member of the USCF Board of Directors from ‘79 – ’84, a member of the USCF Trustee Board, 2005 – 2010 and served on the USA Cycling Board of Directors, 2007 – 2012. Wayne started his business career in 1984 with Shimano American Corp (Bicycle Components Division). 34 years later he is a Vice President at Shimano American, working in Marketing, Sponsorship & Product Development (testing components).